2017 Queen Omena Melissa Ukey and the Spiritual Murano popularly known as Chuvano Otuya alongside some notable Uniben comrades and Directors from ZeMA Group, yesterday the 3rd of December 2017 led an investigation process with the management of UNIBEN MODELS and the school security to apprehend a notorious criminal who has been responsible for deceiving female students/models of the University of Benin, with lies of photoshoots and modelling Jobs for them at Agbor and Asaba, with very attractive prices. The suspect gets them to Umunede and takes them to unknown places where he rapes, takes victims' belongings and sometimes beat them up. He has been under the phone track for 3 weeks, courtesy of Chuvano and Omena yesterday he was eventually tracked down at a region around film house cinema where he was supposed to meet with Queen Omena for a hangout, according to the track plan orchestrated by the Hero and Heroine he was thereafter taken to the Uniben crime office and later handed over to officers of the state CID. More details will be brought as events unfold. UNIBENMODEL remain grateful to one of its models Queen MELISSA OMENA, a godfather and consultant CHUVANO OTUYA, and it's CEO DIVINE JOHNSON and every other person that were involved in the apprehension of this criminal. 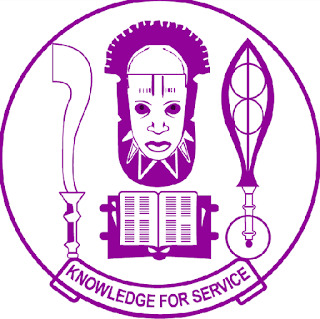 UNIBENMODEL REMAINS THE BODY THAT PROTECTS THE RIGHT AND INTERESTS OF ALL MODELS IN UNIBEN.